Landrill supplies API certified Drilling Tools, Materials and Equipment to the Oil and Gas industry. Its head office is in Xian China with International offices in Christchurch and three other locations around the world. 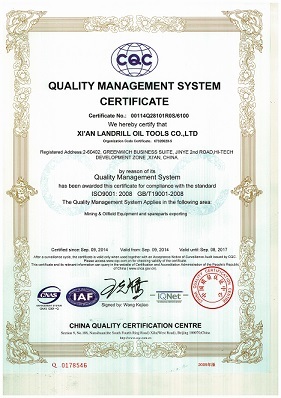 Landrill has a network of ISO and API certified manufacturing plants, with its Engineers overseeing production. The company offers a lean efficient and competitive service to deliver quality products that meet the needs of today’s Industry. The company also has a service division that provides Engineering Solutions in New Zealand in conjunction with its partner EIS from Invercargill and a division that delivers UAV technology to the Oil and Gas Industry.